Mid-Ohio Sports Car Course features a permanent road-racing circuit with two primary configurations: a 2.4-mile, 15-turn, and a 2.25-mile, 13-turn circuit. The park-like, 330-acre complex in Lexington, Ohio, is located 60 miles north of Columbus and 75 miles south of Cleveland. Mid-Ohio hosts a diversity of locally, regionally and nationally sanctioned racing events for amateur, club and professional drivers and riders. The facility is the perfect location for AMA Vintage Motorcycle Days, with accommodations for road racing, motocross, hare scrambles and trials. The vintage dirt-track competition is held at the nearby Ashland County Fairgrounds in Ashland, Ohio.  The AMA Motorcycle Hall of Fame, for which AMA Vintage Motorcycle Days is a significant fund-raising event, is at 13515 Yarmouth Drive, Pickerington, Ohio, about an hour south of Mid-Ohio Sports Car Course. Head north on Interstate 71. Turn right on Steam Corners Rd. Mid-Ohio is 2 miles on left. Head south on Interstate 71. Take U.S. 30 West to Fourth St./Crestline exit; turn left at end of exit ramp. Proceed to stop light; veer right onto St. Rt. 314 (7 miles). Turn left on Steam Corners Rd. Mid-Ohio is 2 miles on right. Make the most of your #AMAVMD weekend! Get with the program. Ask the Mid-Ohio folks staffing the gate for a program, which includes a map and event schedules. The AMA schedule helps you get the most out of your AMA Vintage Motorcycle Days experience. Much of the event (like the swap meet, demo rides, stunt demonstrations and racing) is always going on, but a few featured activities only happen once. You don’t want to miss something special, so check the schedule and plan to be there! Wear comfortable shoes. Mid-Ohio Sports Car Course encompasses 330 acres! You’ll be walking. A lot. When your feet do fail, keep an eye out for the Mid-Ohio shuttles. They’ll help you get around. Bring cash. You WILL want to buy something, and swap meet vendors may not have credit card readers. Line up early. Demo rides fill up quickly. Get your name on the list, then enjoy other events until time for your ride. Bring your mud boots. If it’s rained recently, you’ll need them. Learn something. Check out a seminar or two. Bring lawn chairs. Portable comfort is invaluable. Stake out your motor home spot early. It’s first come, first serve, unless you have a season pass. Don’t forget sunscreen. You don’t want to have to cut the fun short because of a burn. Bring the kids. Children 12 and younger get in free! No furry friends. Mid-Ohio Sports Car Course does not allow pets. Don’t miss the AMA Hall of Fame Bike Show in the infield on Saturday. Wall of Death. Enough said. Haggle at the swap meet. But preferably not with your spouse. Enjoy the quiet. OK, OK. There is no “quiet.” But Mid-Ohio provides a “family camping” area with a less hectic atmosphere. Get Social. Follow the AMA on social media for giveaways, information and more: Facebook.com/AMAVintageMotorcycleDays; Twitter and Instagram @ama_riding and @ama_racing #AMAVMD. Cover up. If you plan to ride your motorcycle on the track for the Lap of History or participate in the field meet, bring long pants, closed-toed shoes and a helmet. And wear them. Tune in! 90.3 FM broadcasts all the races. Rent your ride. Golf carts are available for $100/day plus tax. If you are 18 or older and licensed to drive, make your reservation now. Roll your own ride. Bring your golf cart, pay Mid-Ohio $100, and ride, ride, ride. Personal vehicle passes are free for handicapped customers with proper verification. Cruise in. Follow the AMA’s Recreational Road Riding department on a group ride through the countryside. Then settle in for the Saturday night Flat Track races at nearby Ashland Fairgrounds. Ride participants get, dinner, reserved seats and a pit pass for the race. Sell out! Bring that motorcycle you haven’t been able to sell, stick a sign on it and ride it around the site. Everyone will see it. And someone just may buy it right out from under you. Hang out. In the infield, you can enjoy Pit Bike racing, the off-road recreational riding area, beer garden (be responsible), bike shows and live music. Follow the trail. There’s some great competition in the woods, including vintage trials and hare scrambles. Sitting on a lawn chair with your favorite cold beverage, watching some vintage woods racing is a great way great way to spend the hottest part of the day! Do your research. Check the Mid-Ohio Sports Car Course website for specific facility information like camping, accommodations for guests with disabilities, track FAQs and more. Make new friends! AMA Vintage Motorcycle Days is one huge motorcycle party, and everyone is there to have a great time with bikes. What could be better than that?